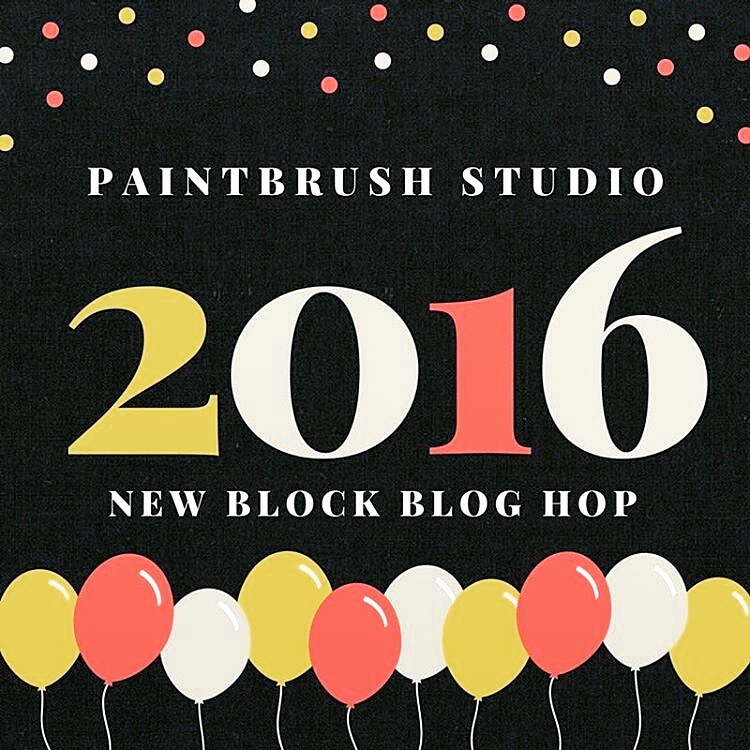 I am excited to once again be a part of over 30 bloggers participating in creating 12.5″ block designs from a bundle of fabric mailed out to us. 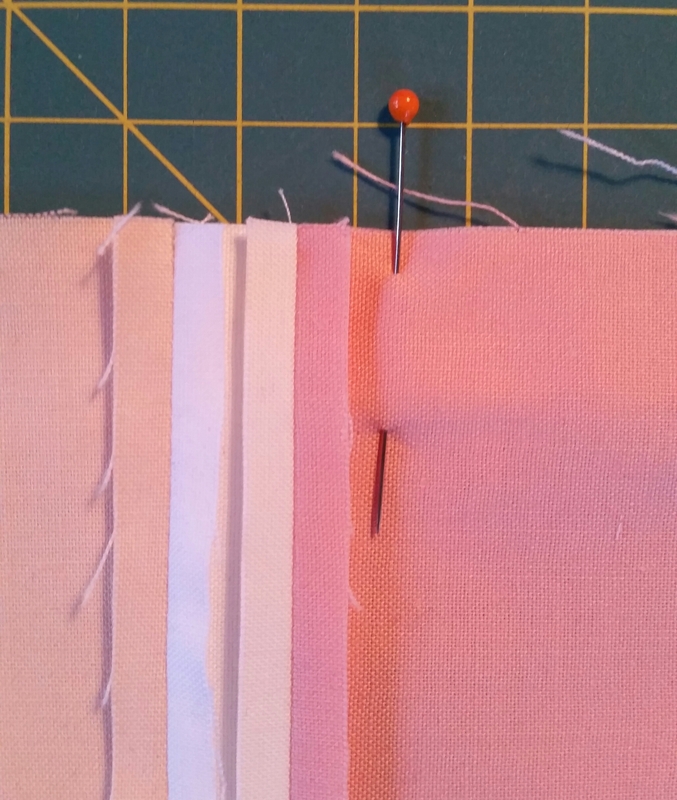 The new line of solids is called Ocean Sunrise and included six different fabrics: White, Coral, Peach, Daydream, Midnight and Bordeaux. 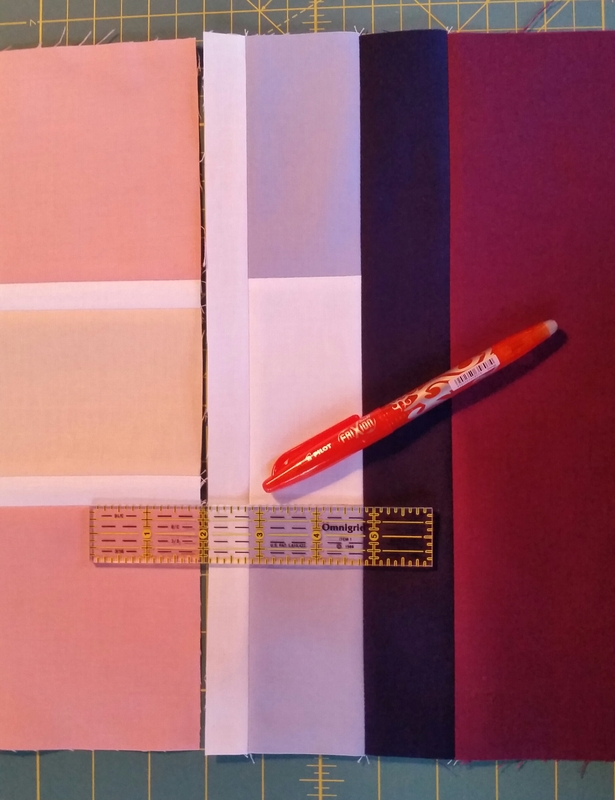 The challenge was to design a 12.5″ unfinished block using at least three of these fabrics. 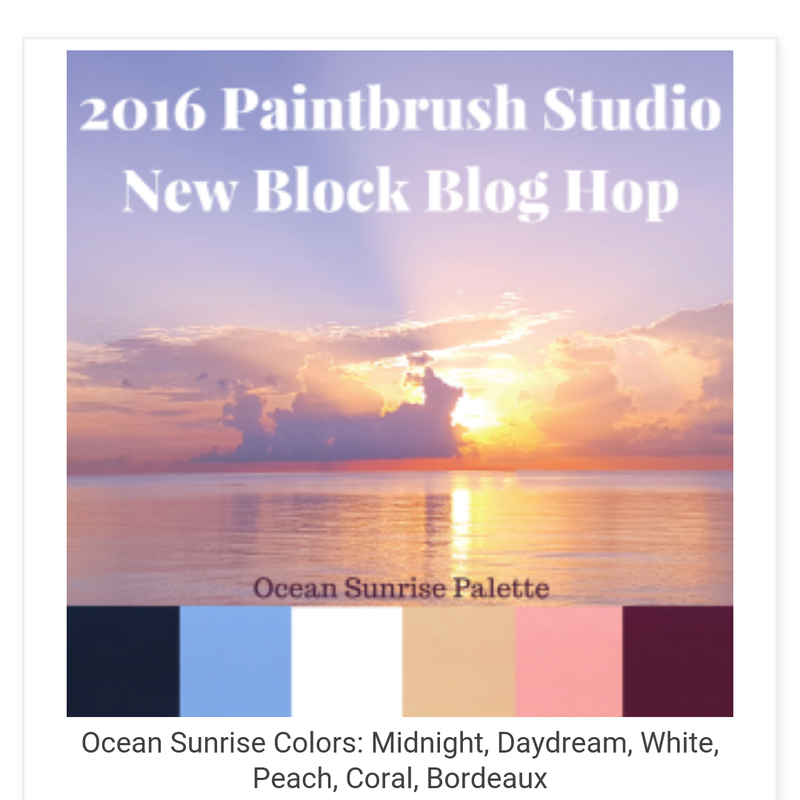 I challenged myself to use all six, just as I did on the previous New Block Blog Hop with Modern Popsicle. I took my inspiration from one of our many drives home from our mountain cabin. On these drives there is no cell nor satellite service for hours. We talk. And think. A lot. 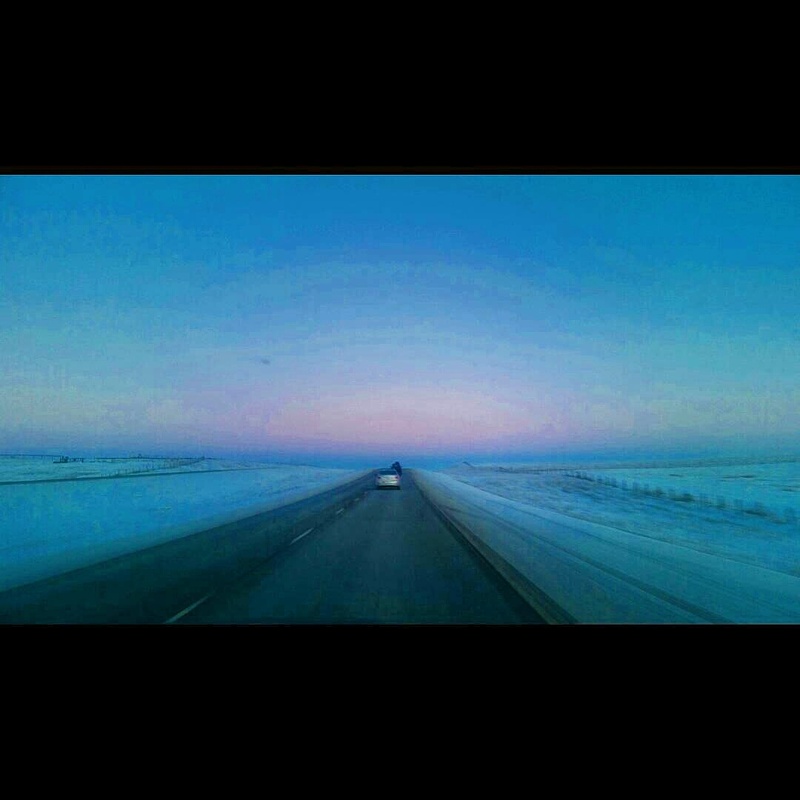 The colours reminded me of the sunsets we see as we get closer to the city; but, also the road ahead and how these talks always keep us on track ensuring we take The High Road no matter what life is throwing at us. 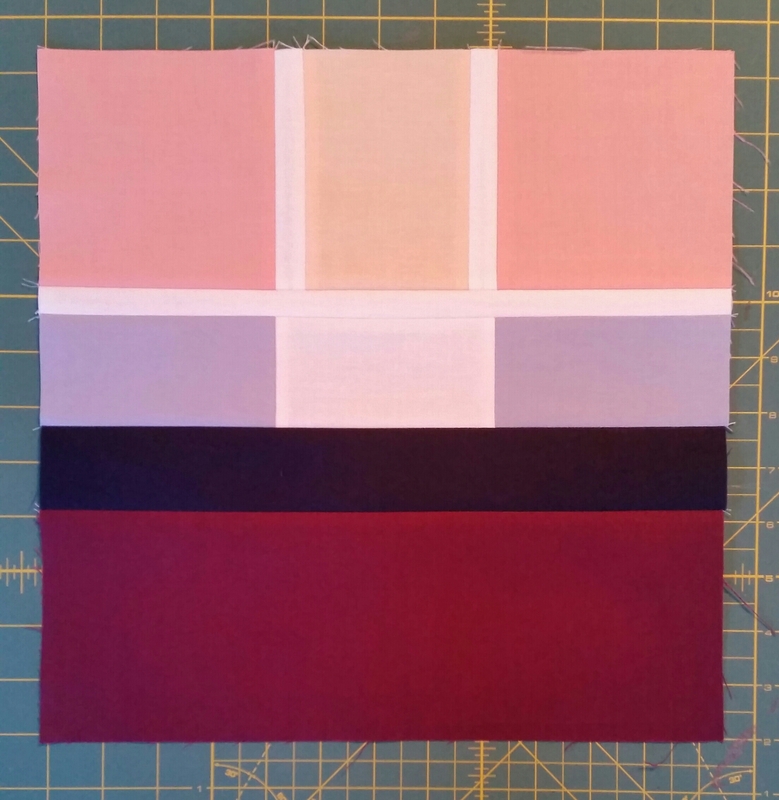 I took my image and created a geometric abstraction so this block is easily recreated and one can easily use some fussy cuts and focus fabrics as the light (the white) as it functions like a window frame. 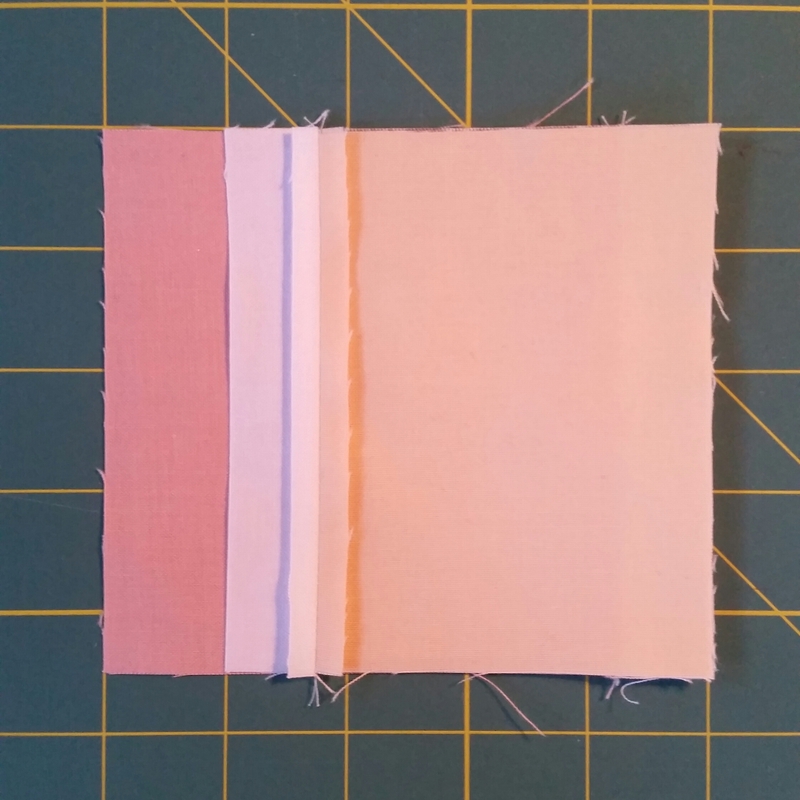 I like to press my fabrics with Flatter before cutting as it gives just a little stiffness to the fabrics which is helpful in keeping a perfect 1/4″ seam when sewing the 1 inch pieces. 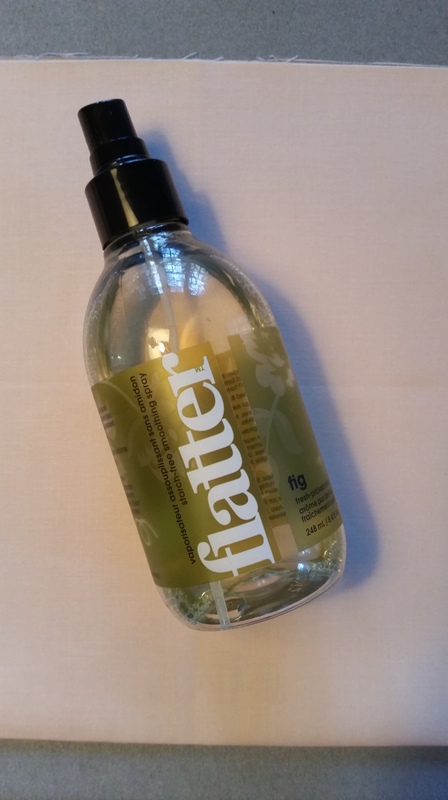 Fig is my favorite Flatter but there is also Unscented for those who are sensitive to smells. 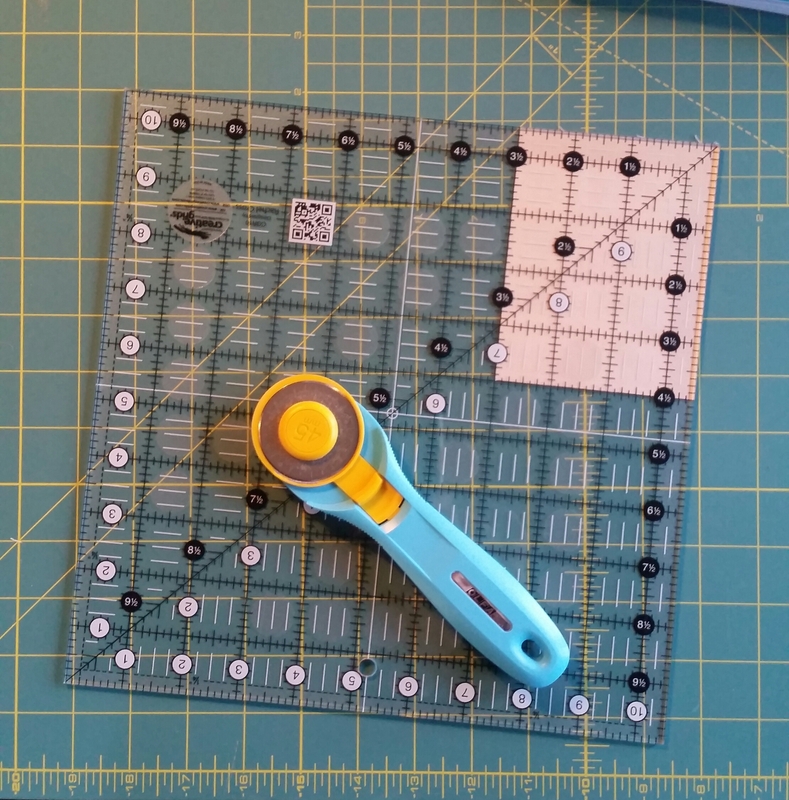 I also LOVE my Creative Grids rulers – one of the square rulers makes quick work of this cutting list! This block is perfect for chain piecing. 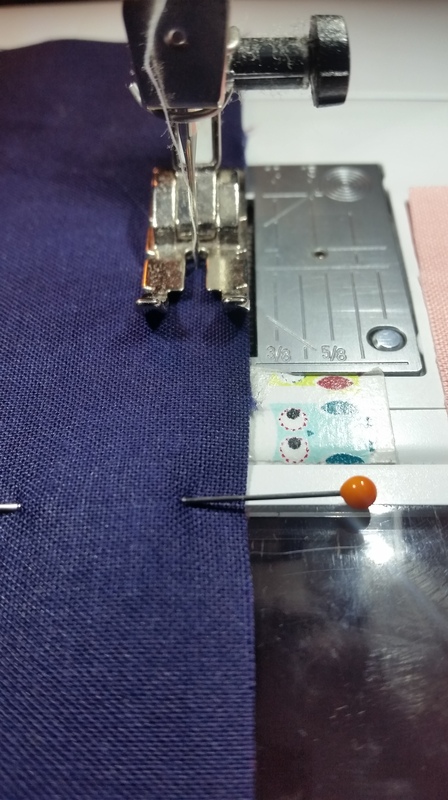 I am a “pinner” – it is up to you to pin or not to pin! 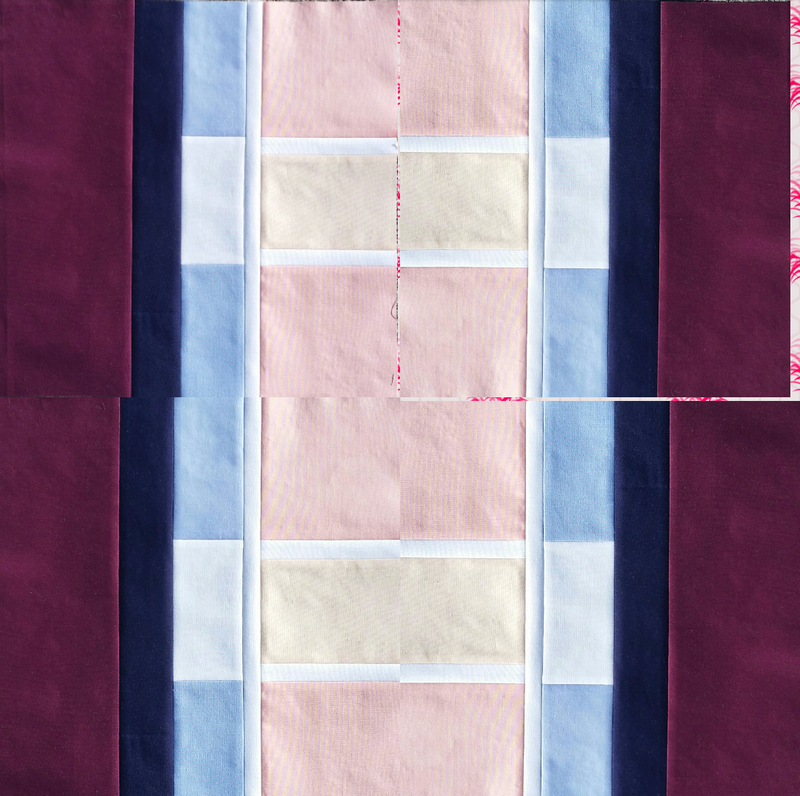 If you approach this block as having five horizontal sections it is easier to piece each of the five rows and then attach these rows together. 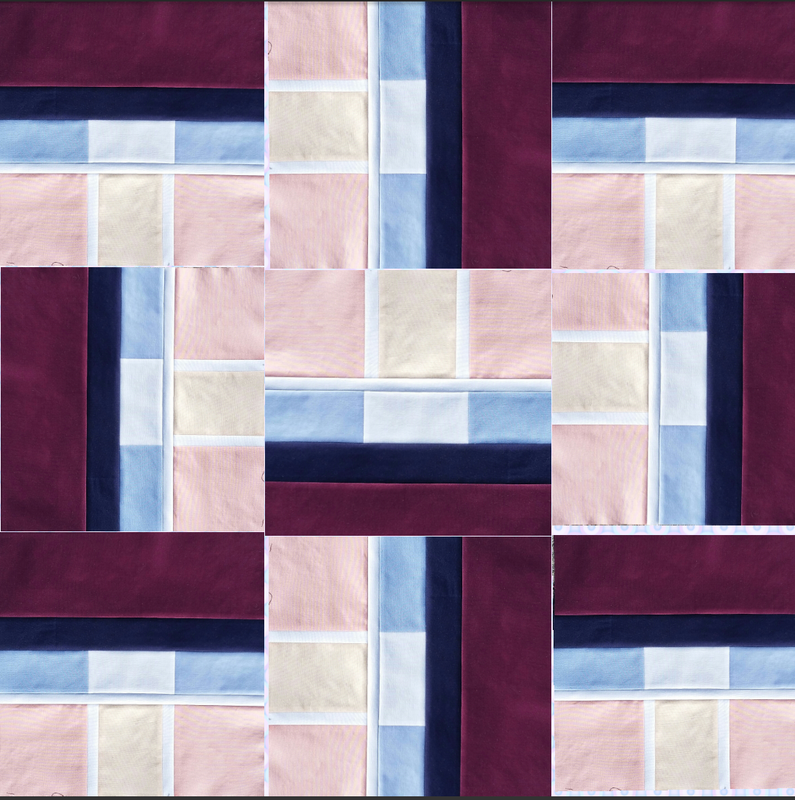 Follow my diagrams to see the order of chain piecing that I did to make this come together quickly. 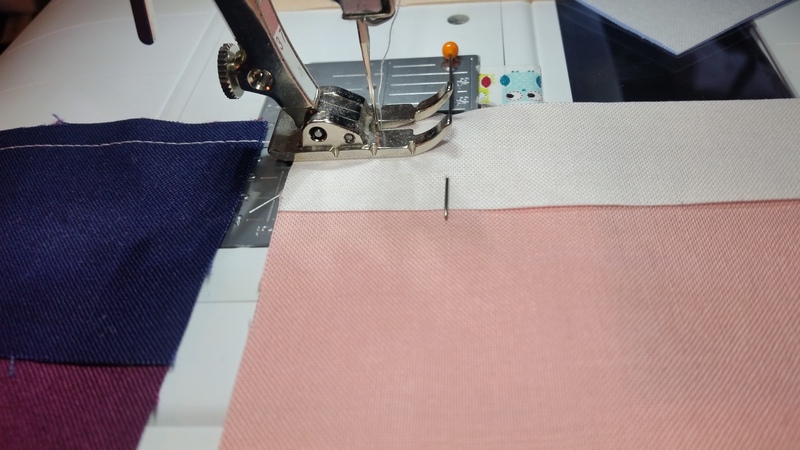 I also ensure I have a true 1/4″ seam that I am sewing having tested this on my machine before and I have a little Owl washi tape that I can nest the fabric against to ensure it stays true. 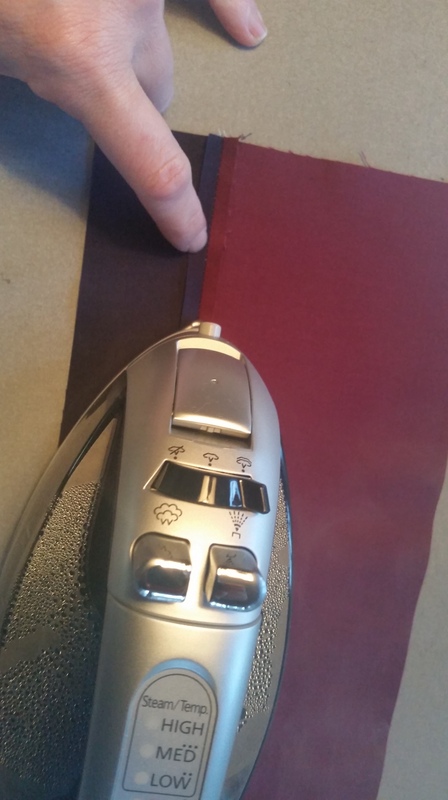 I press all my seams – with steam – and there was no trouble with these fabrics. 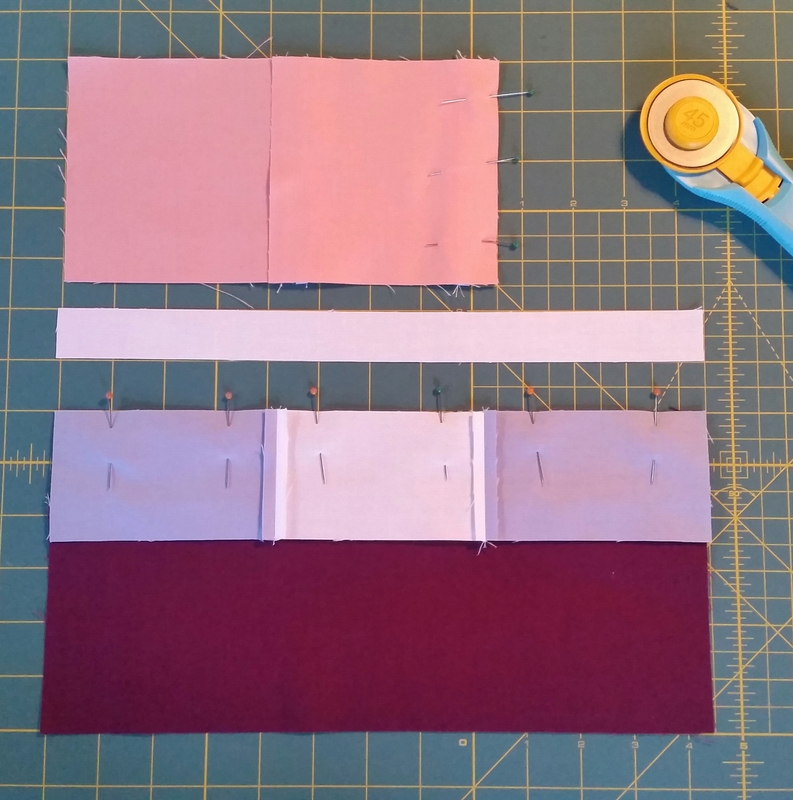 I like to press all my seams open – then I don’t have to commit to how I will join future blocks and I also love how flat blocks will lay when pressed open. 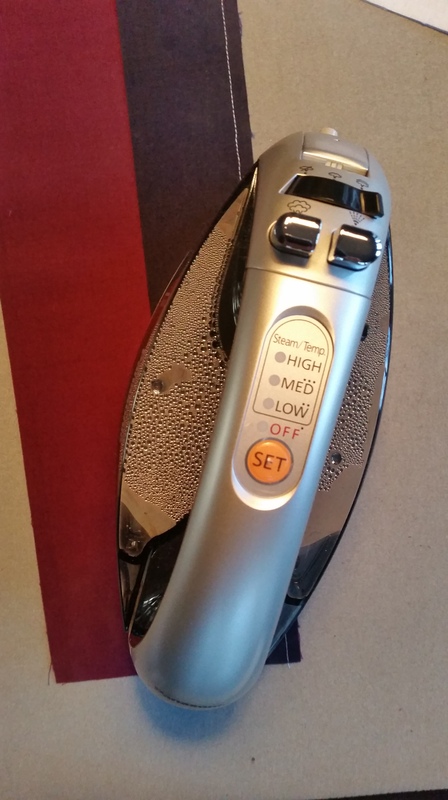 I just move my index finger of my non-dominant hand in front of the iron as I go to help prop the seam open. It goes quickly. 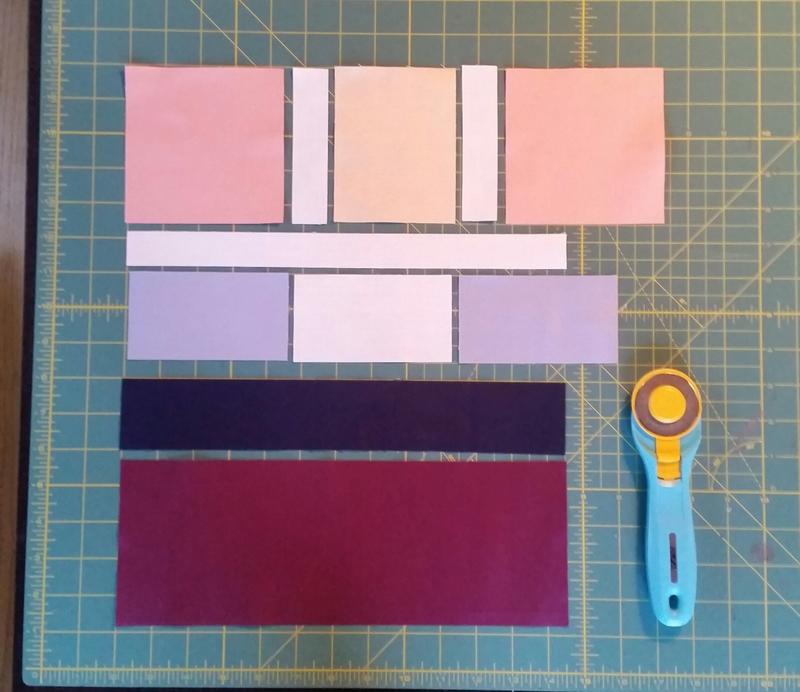 Continue joining the rows – I do use the marks on my cutting mat to ensure that the pieces are lined up properly and did not get a small wiggle when I sewed my seams. I then use these lines to align the next piece on top pre pinning. Pin Overload!!! It’s just my way…. When you get to the last two section to join together you can either use a ruler and Frixon pen to mark a line through to ensure it stays lined up OR use the mat how I have again. I have heard stories of Frixon pens showing through again when quilts get cold so if you are going to use and mark do on the back side not the front to be safe. And voila The High Road is finished. 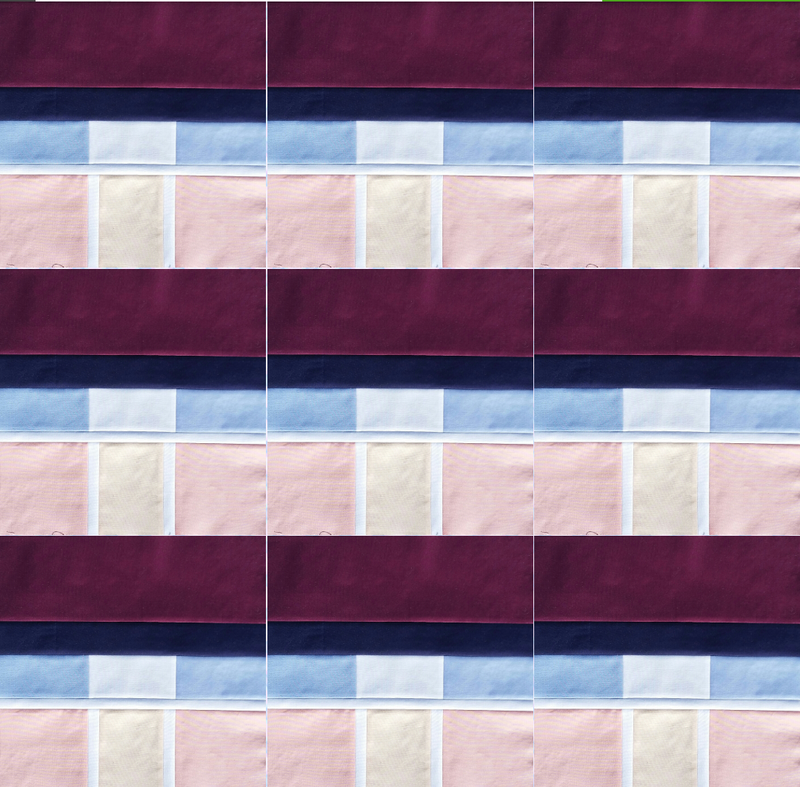 There are various ways you can use this block – I did play around with it a bit on the photo collage app to see if you turn it around and join it assorted ways you can develop some fun patterns. I would like to try it with some Fussy Cuts in the “window panes” such as some Charley Harper. It is always the way – one project creates another one in your mind that now I just have to do! Please check out all the other bloggers on this three day tour. Today’s host The Late Night Quilter @thelatenightquilter has the list of today’s bloggers with all the new releases as well as the past couple of days. Have fun and hopefully you pick up a pointer or two! Neato! This a fun geometric block with many possibilities. Thank you Dena – it is a quick one to go together which opens up so many possibilities! this is such a fun block, that is very versatile. thanks for sharing. 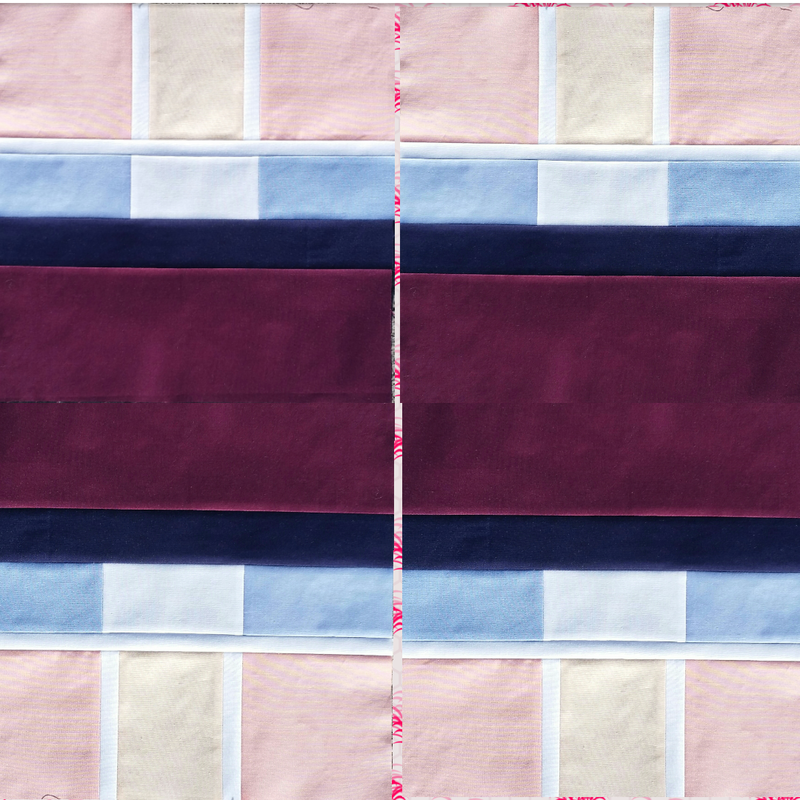 I had fun with this one – if you change fabrics around too I think even more possibilities! I really like the inspiration and story behind your block. I agree that the window panes could be perfect for featuring special prints. Thank you so much for joining the hop! Yvonne I had fun with the challenge – I love how it pushes you to create something you may otherwise never have thought of! Thank you for hosting and having me back! Very cool block, thanks for sharing! Thank you Carol! Thank you for stopping by on the hop! 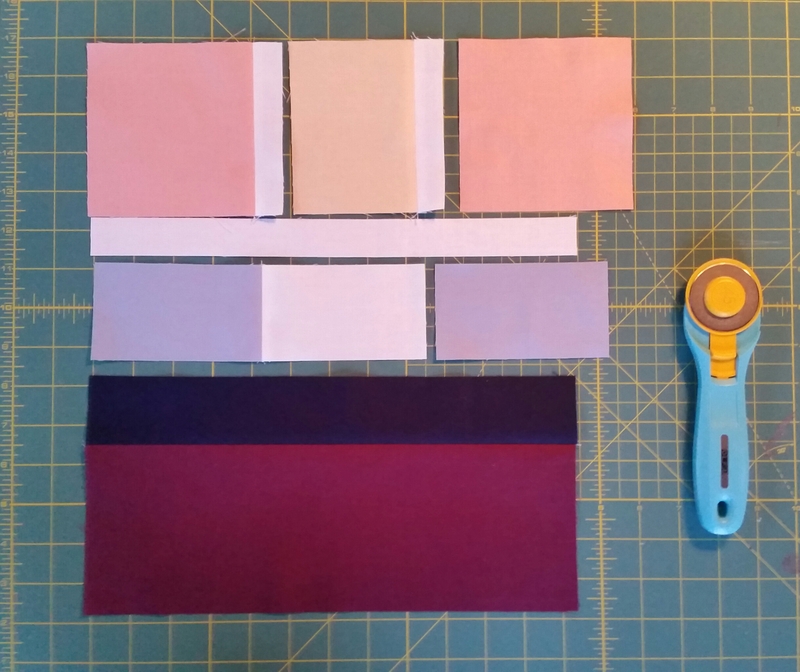 Thx for stopping by – it is a fun one to make – play with the different colours for different effects! Your block is really representative of your inspiration photo!. Your tutorial is super easy to follow! Stephanie thanks so much – I was hoping it did! I’m familiar with those long drives. Great Block! I can see so many possibilities with different fabrics and layouts. I loved reading about your inspiration. Great geometric block. I love the clean design and crisp lines of your block… and the sentiment is wonderful. And excellent reminder of how to deal with pretty much every problem in life. Thank you so much for doing this challenge with us!!! Thank you for having me again Stephanie and I can’t wait to see the blocks come together in the charity quilts too! I love the clean lines, too. And the inspiration is great as well. Great block! Thanks for sharing your inspiration and block. I like the inspiration photo that you used to make your block. It’s a great use of lines and the colors.